You may not know it, but supermarkets cast very subtle spells on you to make you buy more junk. Your shopping behaviour can even change whether you're using a shopping basket (versus a cart), or even if you bring your own reusable bag. Here's why. Image by tuchodi. It's hard to believe that merely using a shopping basket over a cart can influence our great thinking minds, but it does. For example, toting a basket can make us choose more immediately gratifying, "vice-related" products. That's what researchers said in a paper published in the Journal of Marketing Research. They contend that arm flexion — when you bend your elbow, say, to carry or hold the basket — makes you more likely to "reward" yourself from the effort and strain of hauling something around. Sounds silly, right? To observe this behaviour, researchers stealthily followed 136 randomly selected shoppers and assessed their items at the checkout line. They found that basket-carriers were almost 7 times more likely to purchase junk from the checkout aisle. They later conducted a series of follow-up studies to generalise their findings beyond a shopping context. Most notably, their studies collectively seem to confirm that arm flexion is an action that directs something towards yourself and is therefore associated with getting the things you want. On the other hand, arm extension, or when your arm is extended — pushing a cart, for example — is an avoidance type gesture and associated with rejecting undesirable things. Similarly, another study in the Journal of Marketing suggests that being environmentally conscious by toting reusable bags around makes shoppers more likely to treat themselves to more junk food. The researchers tie this behaviour to the "licensing effect", where people allow themselves to do "something bad" after doing something they consider responsible and good. Whoa, right? There are many examples of this mind-body connection influencing behaviour: nodding (versus shaking) your head makes you view products more favourably; sitting on a hard chair versus a soft chair lowers your ability to negotiate; holding a hot drink gives you a better and warmer impression of the other person, and so on. These certainly bring attention to how environmental factors can really mess with our brains in the most quiet ways. But keep in mind that they're limited studies with small sample sizes and many unobserved variables, so they can't be applied as hard, general rules. 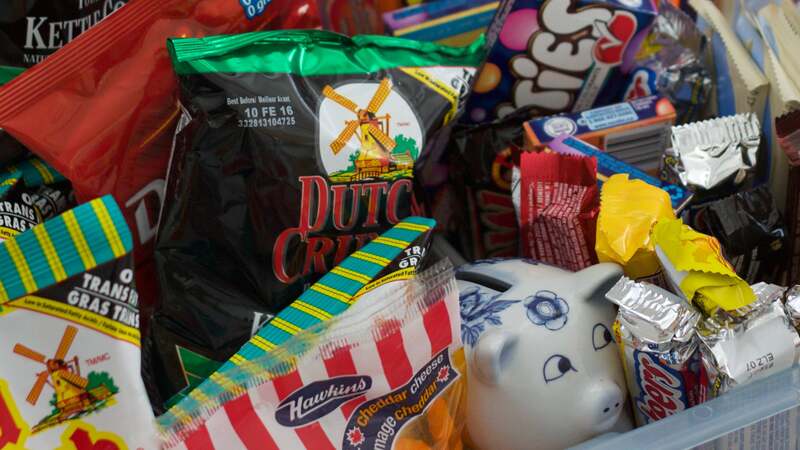 Still, understanding how you may act could help you curb the impulse to buy junk food. Try sticking to a list, shopping only once a week, making sure you're full when you shop and/or trying this drinking game before heading inside to shop. Every time I walk into Woolies to just buy bread and milk, by the time I walk out I've spent $30 on stuff. Every. Single. Time. Its not (necessarily) junk food either, its just stuff that, while I dont REALLY need, is nice to have on hand. Some chili infused oil, or a couple of chorizo's, or, hey mince is on special, lets get another 600g pack to go with the 4 in the freezer! Every. Single. Time. Its magic I tell you, MAGIC!!! been using reusable bags all the time.